Every day, IMS members work together, seeking opportunities for learning about our community’s faith traditions. Also, IMS provides speakers and teachers to groups that want to learn more about the world’s great religions. When we speak of interfaith, “faith” is not solely about religion. It is about the role of spiritual experience inside and outside of formal religion, expected and unexpected, told in people’s own words, and brought to life in unique ways. Faith is a powerful healer, transformer, and changer of lives. The overriding message is that we are part of something greater than ourselves. There is a greater force that connects us all and it is good for each person to find a path that leads to a faith that connects them to the greater whole. Listen to this insightful perspective by Brother David Steindl-Rast on faith. Interfaith Dialogue on the Road – For 23 years, the IMS cooperative has provided materials and expert presenters to schools, congregations, and civic groups seeking to understand the core beliefs of the world’s major religions. Among courses offered are The Abrahamic Faiths, Mysticism in the World’s Great Faiths, and Countering Islamophobia Through Education (CITE). 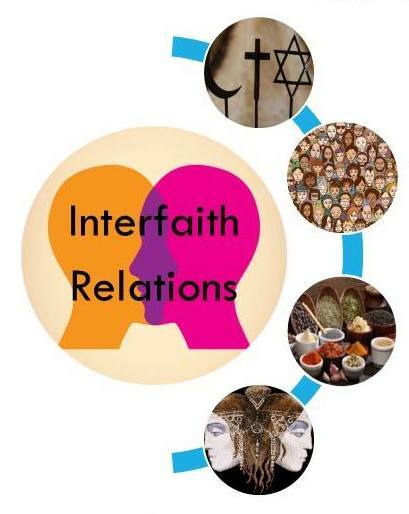 All courses offer chances for interfaith dialogue and cooperation. Hometown Pilgrimage — For the past six years, these annual visits to congregations in our community have given adults and youth a chance to learn about religious beliefs and to experience worship services of different faith traditions in a welcoming environment. Barriers can be broken down when members of different faiths visit each other’s place of worship and experience a worship service. By understanding how other faiths see the Divine, we often deepen our own perceptions of God. And by understanding our shared values, we deepen our commitment to building Beloved Community. The Pilgrimage sites vary each year, and a number of faiths have hosted citizen-pilgrims – Muslim and Methodists, Sikhs and Unitarians, Hindus and Jews, to name just a few. In our Fall 2016 Pilgrimage, we found that the most popular offering was “An Evening of Spiritual Practices,” which was an experiential look at spiritual practices from various traditions. We are considering offering that Evening again. Partnering with Weather Heights Baptist Church’s new “Discovery Center,” we will be offering classes on world religions and spiritual development, as well as organizing interfaith discussion panels.